It seems like our last week's little "trip around China" has been enjoyed by many of our passengers, that's great! Today, you'll have to dress very smart as we're going to enjoy one of the most popular "modern revolutionnary ballet" of China. 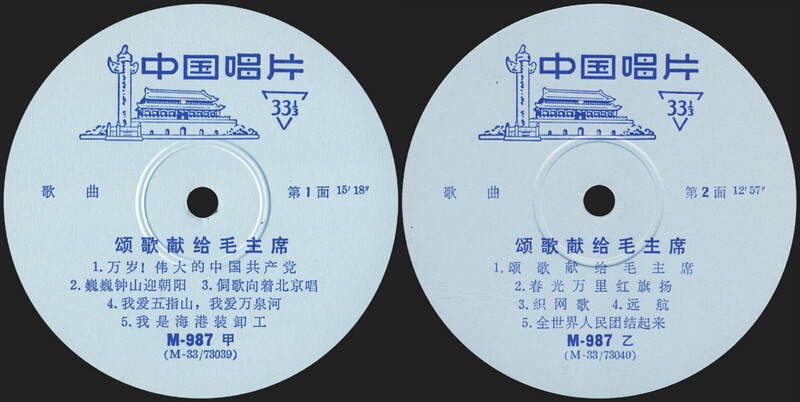 THE WHITE-HAIRED GIRL (China Record Company M-937 from 1971). 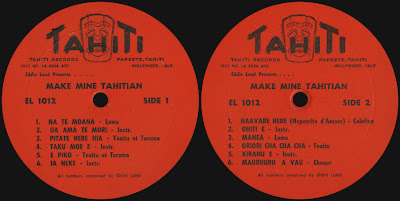 This 10' record is the part 1 of a 2 lp's set (but don't worry, we'll get the second part very soon). It also come with a booklet (included in next post). It's quite nice I found this early seventies set compete and in good shape, it's a great piece of cultural history of china and the cover is pretty sweet (so bad the booklet does not include any pictures). Ladies & gentlemen, this week is going to be pretty busy as we'll travel all around China through it's traditionnal and popular music. 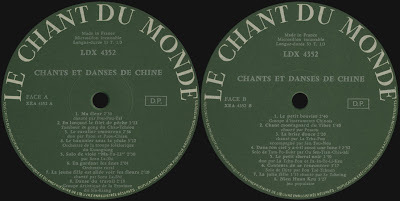 Some will probably notice that we like the work by the people at "Le Chant Du Monde" as we already talked about a bunch of their recordings in the past. Some others will maybe complain that lots of the records got the same name... Well they can't be blamed about this. 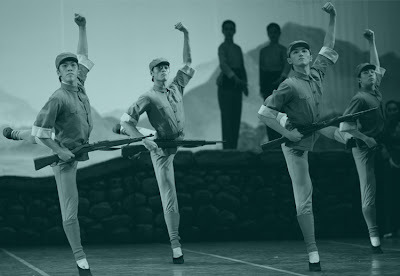 After "chants et danses des pays Arabes", "chants et danses du Maroc". 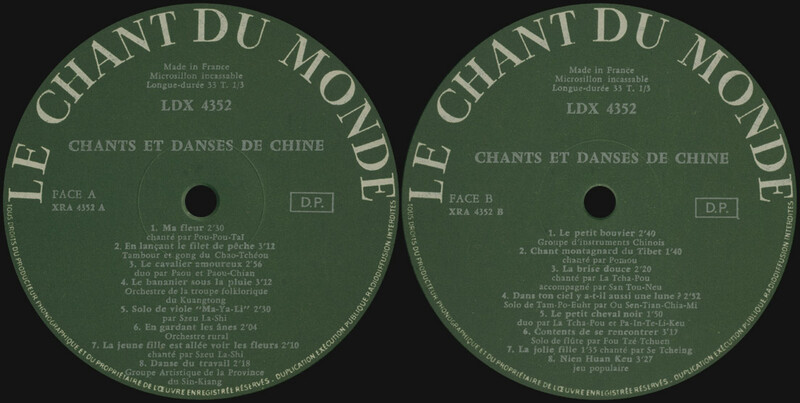 Here we are now with CHANTS ET DANSES DE CHINE (Le Chant Du Monde, LDX-4352, from late 60's I guess). Though the tittle is not really original I must confess that I never been disapointed by any records with this boring name. Today you'll sure enjoy all the great music they carfully selected for this record. 16 great tracks within 40 minutes and a nice cover to warp it! 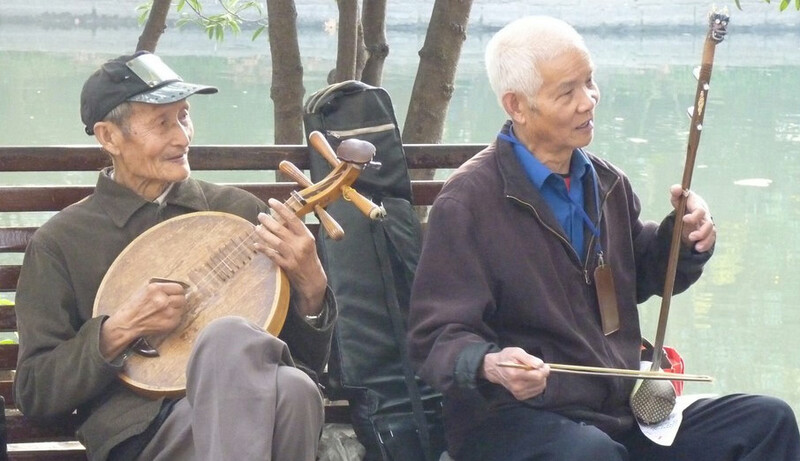 That's for sure a great occasion to introduce inquiring people (and to please those who already enjoy it) to the rich variety and the amazing quality of the chinese musical culture. It's truelly a gorgeous LP... Enjoy! 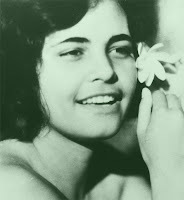 01 "my flower", a kazak song singed by Pou Pou-Taï. 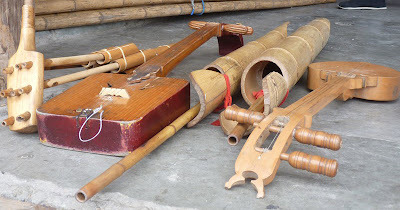 02 "weaving the fishing net" (not the same song as in previous post), popular song from Canton province. 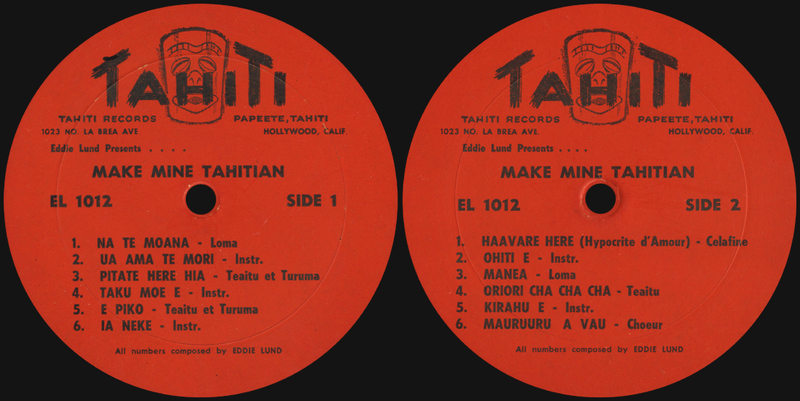 03 "the loving horseman", Taï-Kian style (singed by Ha pou and Pou Pou-Chian). 04 "the banana tree under the rain", Kuangtong province by the Kuangtong folklore orchestra. 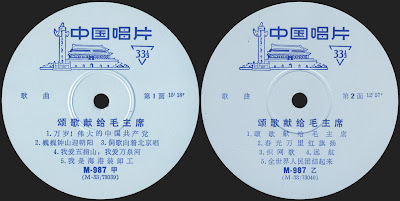 05 "ma Ya-Li", viola solo by Szeu la-Shi. 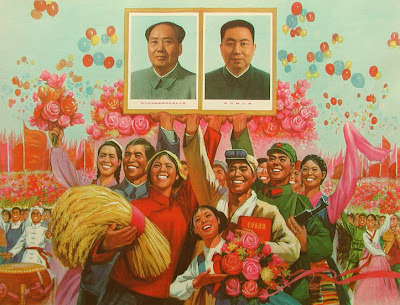 06 "keeping donkeys", central China, rural orchestra. 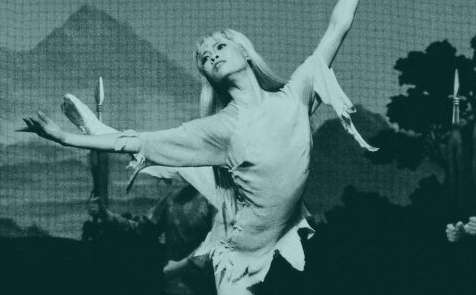 08 "workers dance", Ouïgour dance by the art ensemble of the Sin-Kiang province. 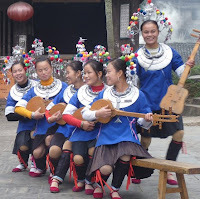 09 "the little bouvier", Hojeï province (central China), orchestra. 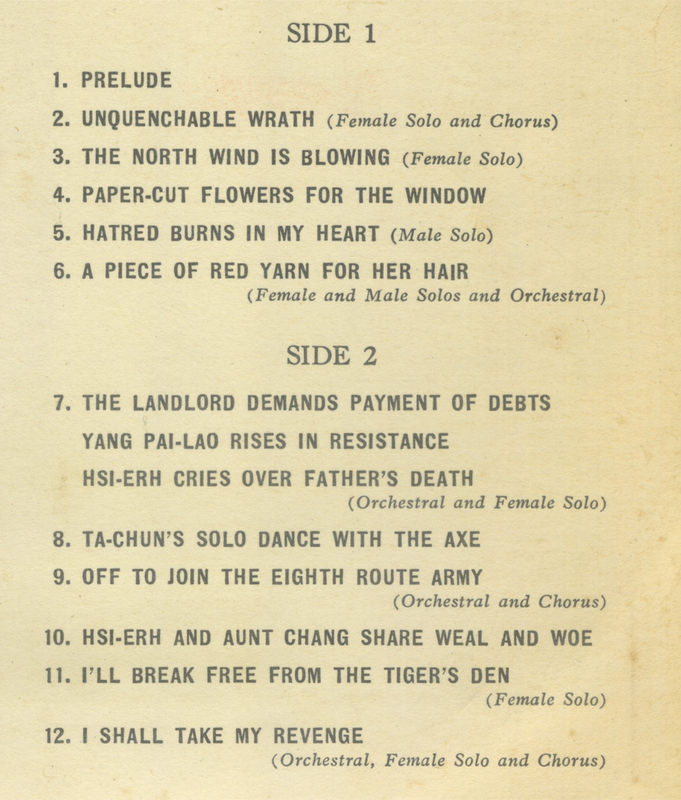 10 "Tibetan song from the mountains", singed by Pompou, flute played by Li Lou-Ming. 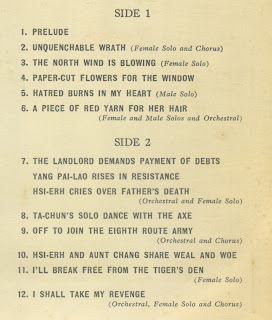 11 "the gentle breeze", Mongolia singed by La tcha-Pou accompanied by San Tou Neu. 12 "in your sky is there also a moon? ", Ouïgour Tam Po-Euhr (strings) by Ou Sen-Tian-Chia-Mi. 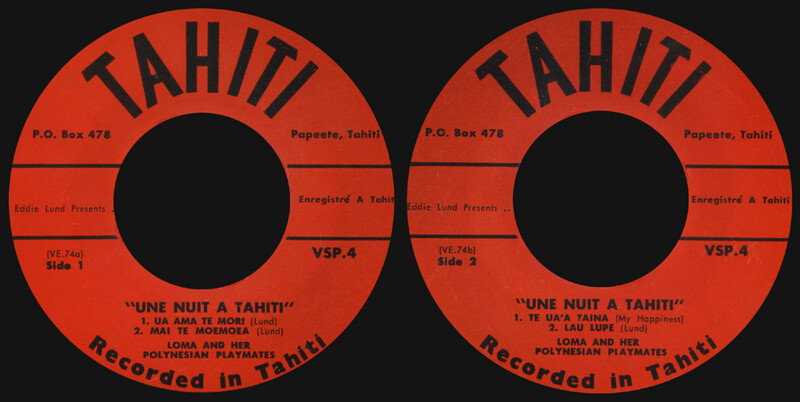 13 "the little black horse", singed by Tcha-Pou and Pa-In-Te-Li-Keu accompanied by Cheu Jen-Keu-Ich-Leu. 14 "pleased to meet", (north) Ti Tzon flute played by virtuoso Fou-Tzé-Tchuen. 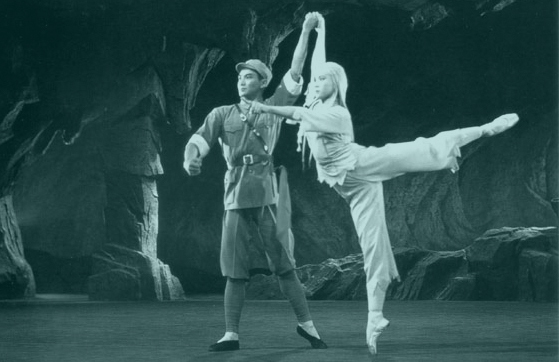 15 "the cute girl", Mongolian song singed by Se Tcheing. "A music note is a dead thing that comes to life in the breath of a musician"
Ladies & gentlemen, our flight number KTK22 will soon reach it's destination... 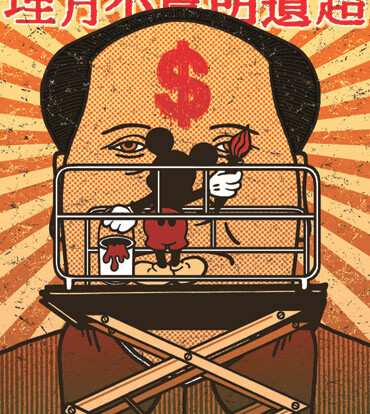 Right after we land at the airport, we'll start our tour with a bunch of "cultural revolution" songs by some talented choir singers backed up with a luxurious orchestra. We'll listen to the "ODE TO CHAIRMAN MAO" (China Record Company M-987 from 1971). 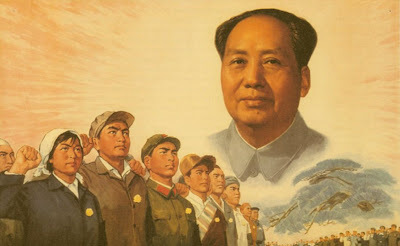 Pretty much all the subjects of those kind of songs are covered here: The party, the leader, the workers, the country... 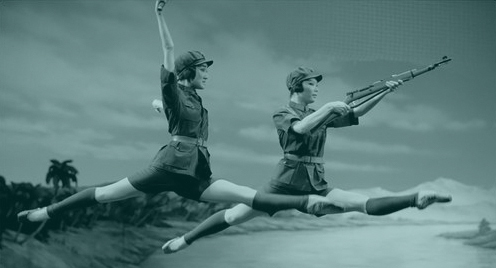 Though politics aren't some of our favourite subjects at all this record is pretty enjoyable. 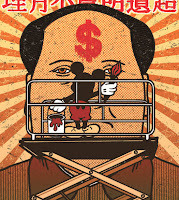 Sadly the cover is really boring (especially comparing to the amazing propaganda posters of that era). "a Story of the South Seas..."
Ladies & gentlemen, here 's your captain speaking. We're leaving Tahiti tomorow morning, we hope you had good time here. 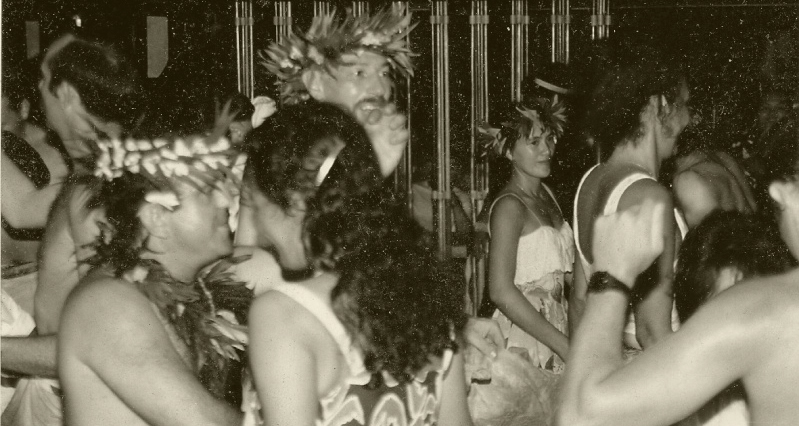 You sure enjoyed our little tour of the nightlife with our host mr Eddie Lund. 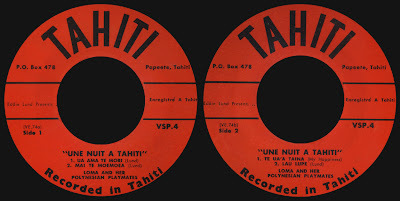 Tonight is your last chance to party and enjoy "UNE NUIT A TAHITI" (tahiti Records, 1960). 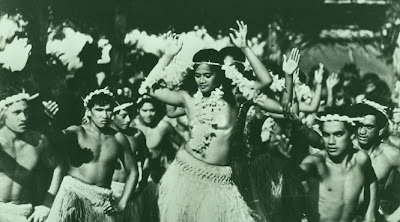 Another record produced by mr Lund, this time featuring Loma and her Polynesian Playmates. 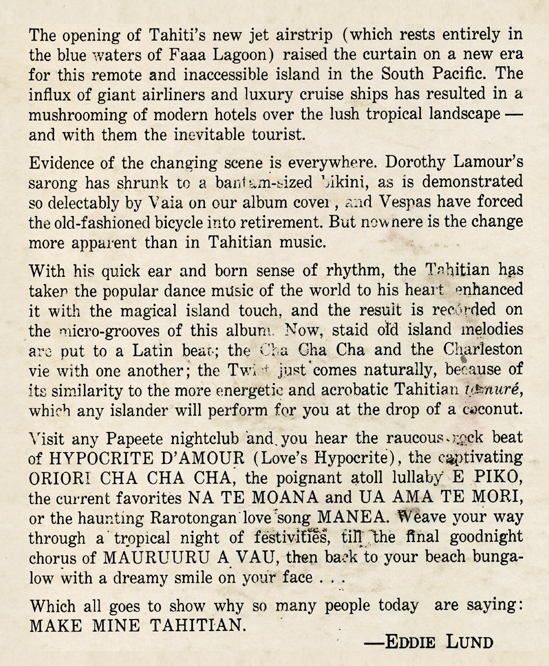 This Ep present the first tahitian band to tour out of Tahiti (Australia, New Zealand, Fiji...) to promote the "one night in tahiti" show. 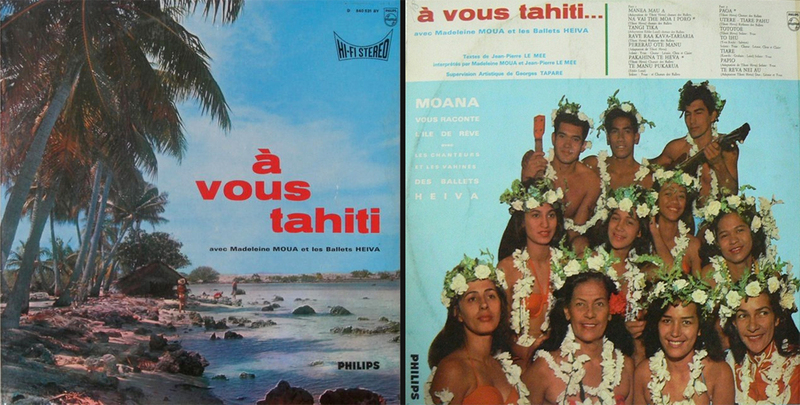 We already talked about the music and it's evolution in previous weeks but it's also interesting to mention Tahiti record made a pretty good point about printing their covers. Most of the time they avoided the expensive "full color" printing to go for Lp's with for full colors front (glued on the cover with only the back printed in black) and 2 colors design for ep's witch give a little special feel to their productions. This time is one of the rare occasion they give us to actually see the band. 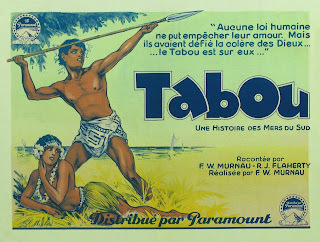 For those who are too tired to go dancing, you can spend the evening with "Tabu", a silent movie by F.W Murnau (1931) wich was the first fiction movie ever filmed in tahiti. By the way, Godzzla posted a bunch of interesting videos in KTK18 comment section... Big thanks to him! 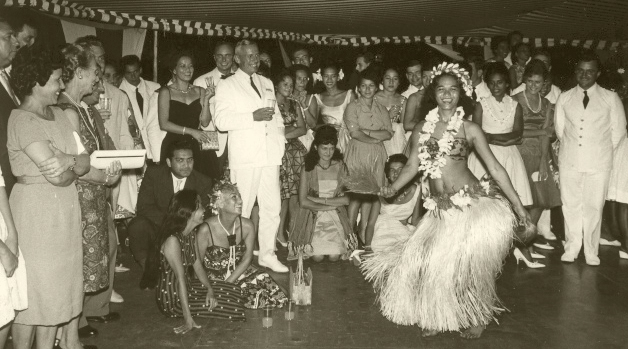 Ladies & gentlemen, we're still having a very nice time visiting Tahitian night life with our host Mr Eddie Lund. We dig it so much that today we got more music than usual! 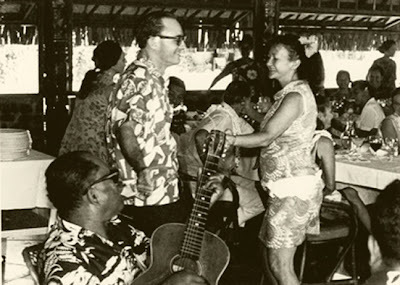 It really seems like mr Lund really enjoyed the quiet and sweet life there as in 1962 he was very happy to say "MAKE MINE TAHITIAN" (Tahiti records EL1012). 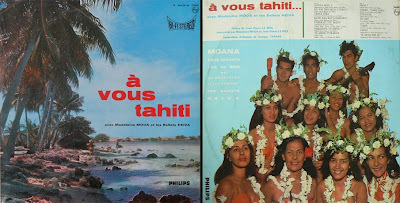 It's quite funny that nearly as same time as "make mine tahitian" was released another record named "to you, Tahiti" (A VOUS TAHITI, Philips 840.531)... A very different record by Madeleine Moua and the ballets Heiva, more related to tahitian folklore mixing "festival" style music and backing vocals telling us the story of Tahiti's creation by the Maui god. 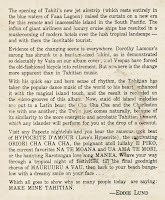 This LP also feature a version of the song "Manea" (that means "you're lovely").